Azzen'Ka Level priority: Focus Dust Devil as your primary and Sand Punch as your secondary skill. As soon as the ultimate ability, Sand Wraith, is open, pick it up and then continue focusing on Dust Devil. Basic order is Sand Wraith> Dust Devil> Sand Punch. Azzen'Ka Play sample: Keep the distance between your champ and the opponent. If he is far away, on the other side of minions, harass him by using Dust Devil as soon as he gets near one of his minions. If there are no minions or champions near your target, refrain from casting Dust Devil as you may lose just enough time and allow the opponent to close the distance. Keep in mind that in a team fight, as well as in laning phase, you want to keep your distance. There is absolutely no need for you to get close to the front of the battle. Start team fights with Sand Wraith and aim to tag as many opponents as possible. Follow through with Sand punch and Dust Devil for additional cc and burst of damage. Azzen'Ka's abilities apply a Sand Trap stack on the enemy. 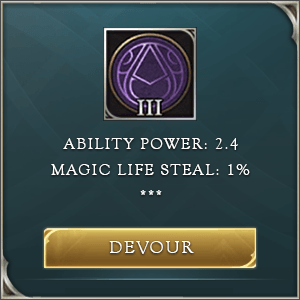 After reaching 3 stacks, the enemy will be petrified and suffer 150 (+75% of AP) magic damage. -lots of cooldown reduction and staying alive increase the value of this ability significantly. -mark duration is 6 seconds. Azzen'Ka summons the shifting sands to attack his enemies, dealing 350/390/430/470/510/550 (+90% of AP) magic damage and knocking them into the air. -Great tool for zoning or controlling opponents. Azzen'Ka sends a Dust Devil towards his enemies, bouncing between them and dealing 235/285/335/385/435/485 (+65% of AP) magic damage. The same target can be hit up to 2 times, taking 80% damage on the subsequent hit. -Whenever an enemy champ comes near minions, cast it on nearest one so it bounces to unsuspecting prey. 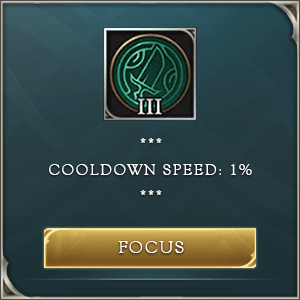 -During team fights, this is a great way to add more stacks of passive and increase damage, plus cc uptime. Azzen'Ka calls forth the hand of shifting sands, dealing 200/260/320 (+70% of AP) magic damage initially. The sand then starts to rage, continuously dealing 140/175/210 (+35% of AP) magic damage to enemies within the target area and slowing their movement speed by 60%. -Landing this skill on several targets will increase the probability of other skill shots finding their way to the target, both yours and those of teammates. -Zoning the opposing team from an objective. -Strong AoE. All 3 of his skills are effective AoE abilities that work differently, so you can choose which one to use. -Team fighter. Especially important when there are more opponents, so his Dust Devil has someone to bounce off. -Long Range. All three abilities have ways to influence combat without him being near danger. -No inherent survival skills and weak defensive stats. -Weak One vs One. Without additional opponents for Dust Devil to bounce off and return to the original target, you will lose damage from the second bounce, as well as potential Sand Trap trigger. -No mobility. He is weak versus various champions who can avoid your skills, either by having high mobility or tankiness, or versus high burst champs who can engage Azzen'Ka during his cooldown period. You should focus Dust Devil as your primary and Sand Punch as your secondary skill. As soon as the ultimate ability, Sand Wraith, is open, pick it up and then continue focusing on Dust Devil. Basic order is Sand Wraith> Dust Devil> Sand Punch. Keep the distance between your champ and the opponent. If he is far away, on the other side of minions, harass him by using Dust Devil as soon as he gets near one of his minions. If he is aggressive and looking to engage you, prevent that by placing a Sand Punch in front of him. Whatever the case, you do not want to have an enemy in your face or be open to his burst toolkit. The goal here is to be on full health mid-game, while he is dropped to at least below 50% from all the Dust Devil spam. If there are no minions or champions near your target, refrain from casting Dust Devil as you may lose just enough time and allow the opponent to close the distance. Keep in mind that in a team fight, as well as in laning phase, you want to keep your distance. There is absolutely no need for you to get close to the front of the battle. Start team fights with Sand Wraith and aim to tag as many opponents as possible. Follow through with Sand punch and Dust Devil for additional cc and burst of damage. Try to stay alive so you can cast multiple rotations of your 1st and 2nd ability, and if possible even your ultimate for the second time. Engage: Sand Wraith can be a good way to initiate fights. Slowing down a large number of opponents can produce an opening for some of your teammates to land those important skill shots, and/or even use it as a sort of poke ability. Disengage: Sand Punch placed at the feet of an approaching enemy can be a good deterrence for them. Most will side-step and lose enough time so you or your teammate can safely escape. Note, if enemy already has two stacks of Sand Trap, you can even cast Dust Devil to petrify him and deal additional damage. Sand Wraith can be used to slow down approaching champions.